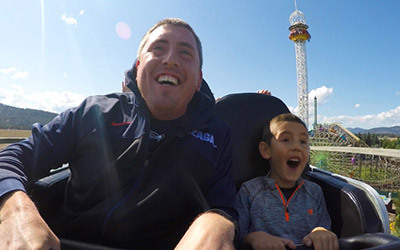 Any 2-days in the 2019 season for $75! 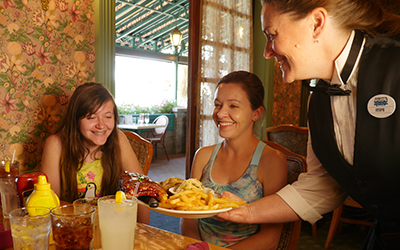 Book a group of 15+ and SAVE! 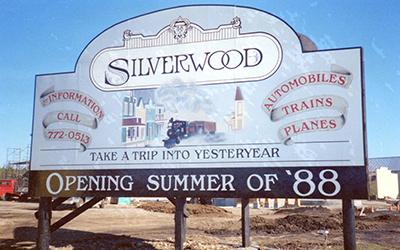 Take a behind-the-scenes look at Silverwood! 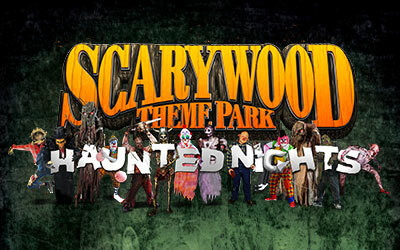 SAVE up to $14 on admission! Heroes get in for FREE! 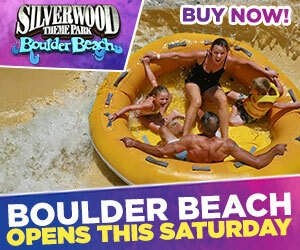 Boulder Beach is opening soon! 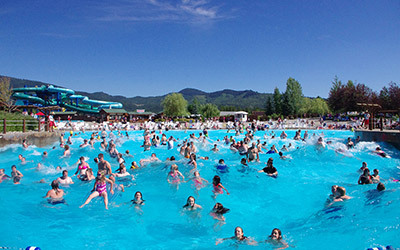 Boulder Beach now open for the season! 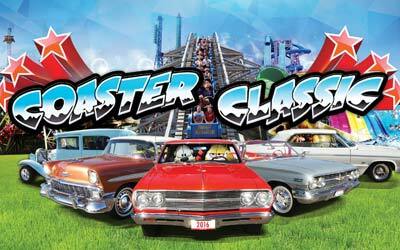 Any 2-days in the 2017 season for $79! 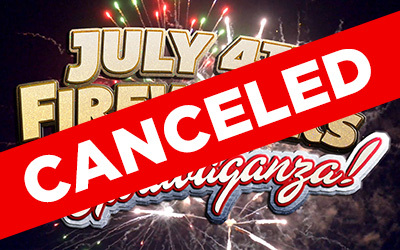 Reminder: We will not have fireworks this 4th. 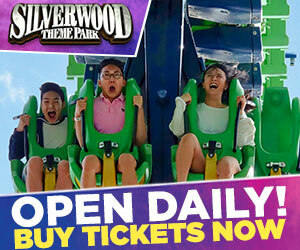 Any 2-days in the 2018 season for $79! Buying your tickets online saves you money! 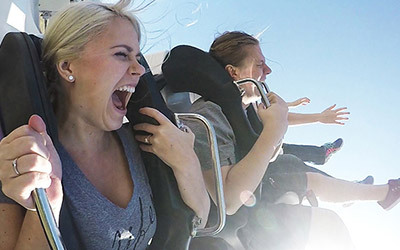 Buy your 2019 season pass now! 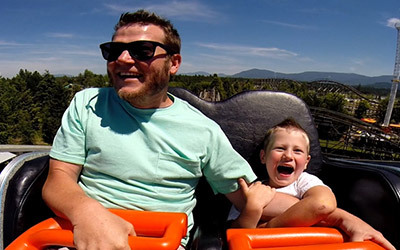 Make Memories at the Northwest's Largest Theme Park! 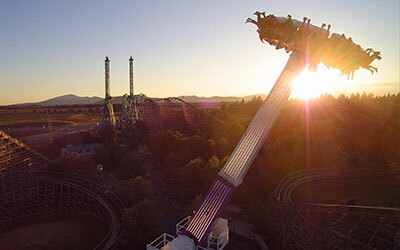 This metal monster dominates the skies over Silverwood. 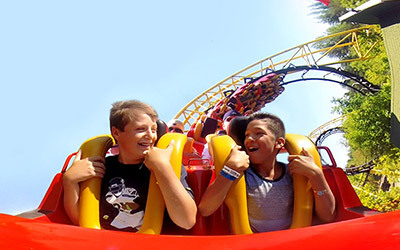 At 191 feet, this beast is really two thrills in one because not only does it take you forwards through a cobra roll and inverted loop, but backwards as well! 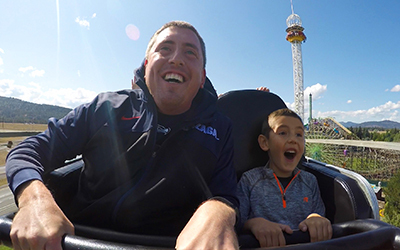 This family-fun ride gives you the feeling you’re flying freely among the clouds, yet mild enough for all ages. Our guarantee to you: You will get bumped, you will get soaked, you will love it. 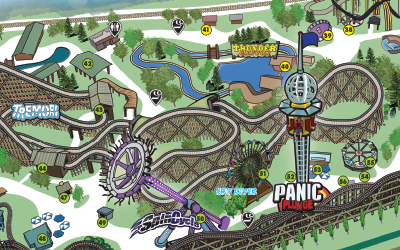 Corkscrew was the first modern inverting coaster. 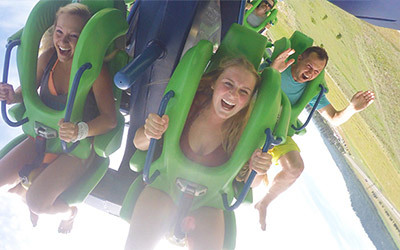 This amazing coaster was also the first to takes riders upside-down not once but twice as they moved through the double helix that is the highlight of this coaster ride. 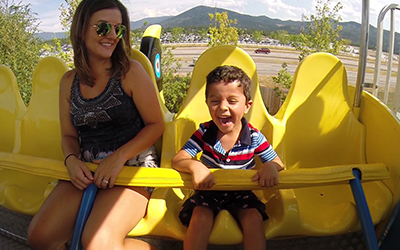 Located in Garfield’s Summer Camp Expansion, The Krazy Koaster seats passengers back to back and can easily accommodate adults as well as children. Hop on and go for a spin! After being secured in your seat, Panic Plunge begins its measured ascension into the air. Take in the beautiful view before you are released 120 feet back to Earth. Take a giant puppy on a magical ride as it barks on your command. 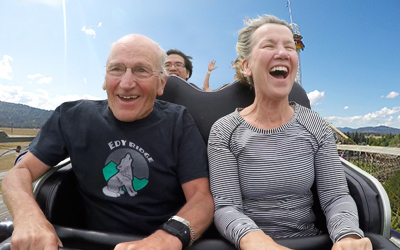 A nice, relaxing, and dry ride – right up until that drop at the end that is. 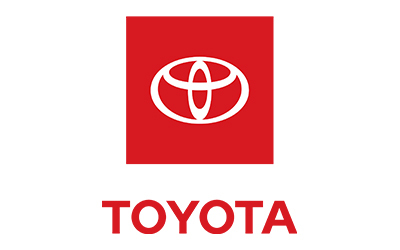 It’s the first of its kind in the world! 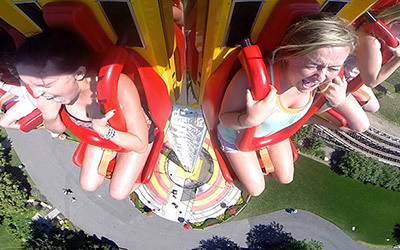 Standing 104 feet in the sky, you will get a complete view of what the park looks like upside down...if you can keep your eyes open. 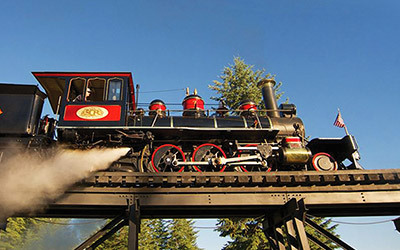 Be sure to take a ride on historic Engine No. 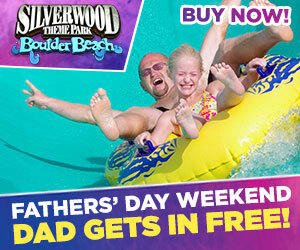 7 and enjoy a trip around the park including the back woods. But watch out! These parts have been known to see the occasional train robber. 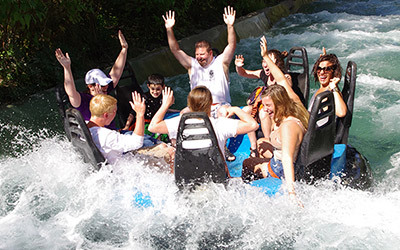 A fast, fun, wild trip down a whitewater river. Chances of getting wet? About 100 percent. Belonging to a genre of roller coasters known as air coasters, Timber Terror is sure to put plenty of air between your seat and ours giving this coaster thrills and chills all its own. 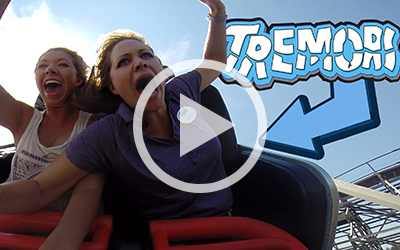 Tremors has been one of the top rated wood coasters in the country! 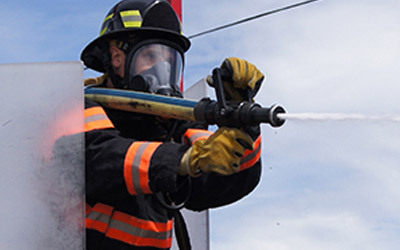 As you leave the loading station, you slowly climb up the first hill until you're 100 feet in the air and then drop down into 1 of 4 underground tunnels. 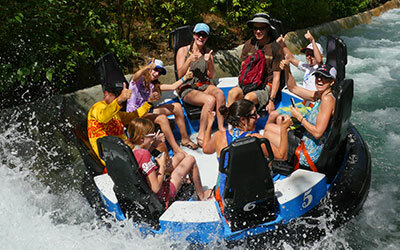 Walk up a mountain trail, climb aboard a raft, and splash your way down a 650' slide before landing in a below-ground canyon! 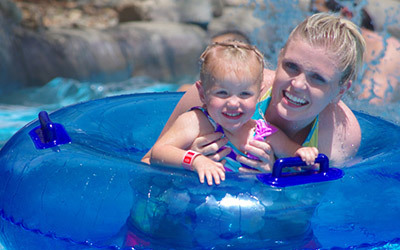 One just isn't enough sometimes, so you and your family can enjoy either of our two huge wave pools. Both precisely as fun as the other. The definition of "low intensity ride." Kick back and relax as you wind through our lazy river. 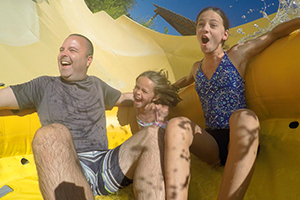 Jump on this family raft slide and cascade down a 40-foot mountain into a 30-foot valley with the additional exhilaration of a steep drop into a 20-foot diameter enclosed MEGA tube! 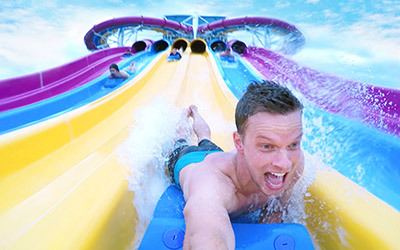 Standing nearly 60 feet tall and over 400 feet of slide, the new mat racing water slide will feature 6 side-by-side racing lanes for you and your friends. Our high speed water slide tower. 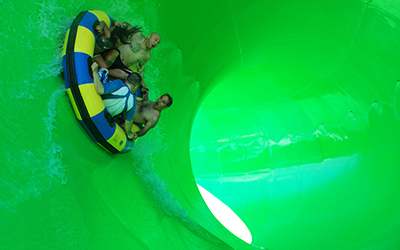 If you've ever wanted to hit 55 mph on a thin layer of water in nothing but your swimsuit, these are your water slides.